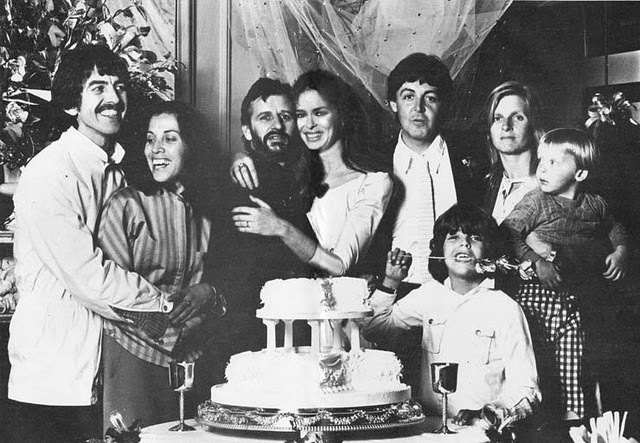 In honor of the 50th Anniversary of the Beatles appearance on the Ed Sullivan show, here’s a look back at the weddings of the four mega stars. Amazing how low-key they all kept it, considering their high profiles…. 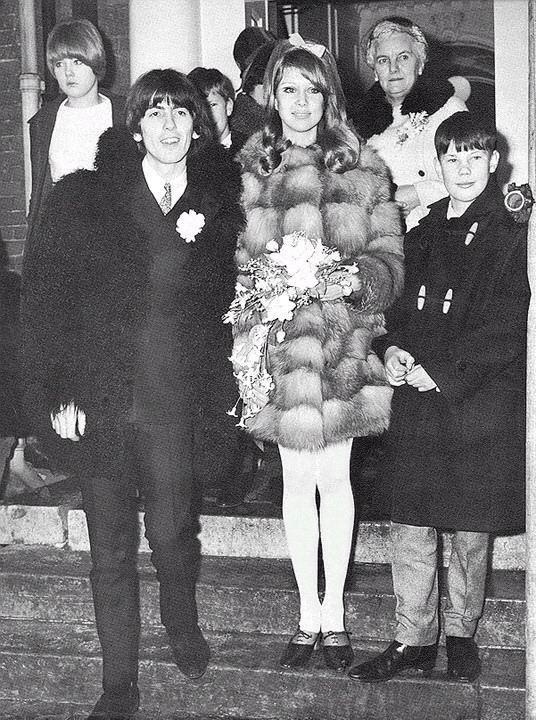 Below, Patti Boyd and George Harrison tie the knot in 1966. Apparently, she was the inspiration for the song “Something”. 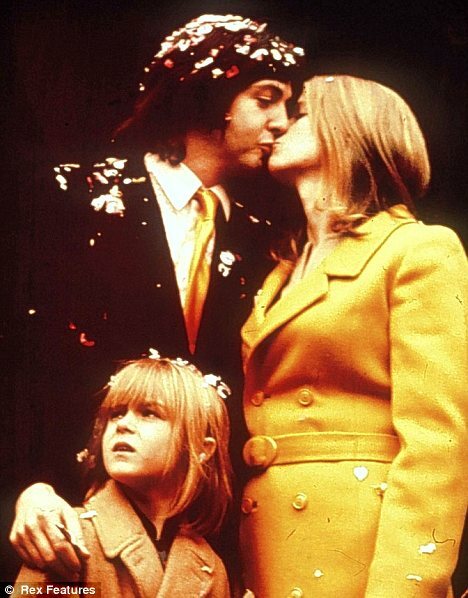 Below, Paul marries Linda in 1969. I love his yellow matching tie to her yellow pea coat. 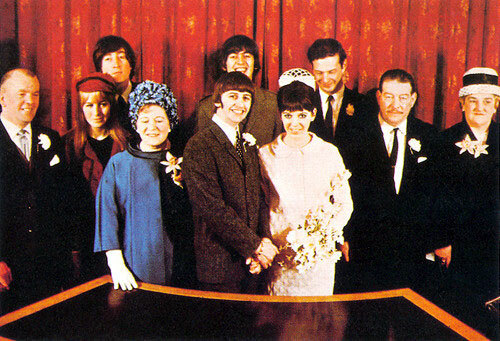 Below, in 1965, Ringo marries Maureen Cox. Not sure I’ve got anything nice to say here, other than that perhaps it’s a good thing the pillbox hat hasn’t made a true comeback. and then in 1981, he married Barbara Bach at the local registrar. Due to John Lennon’s murder only 3 months earlier, it was a bittersweet moment in time. While not in sequential order (they married in 1969), I had to save the best for last. 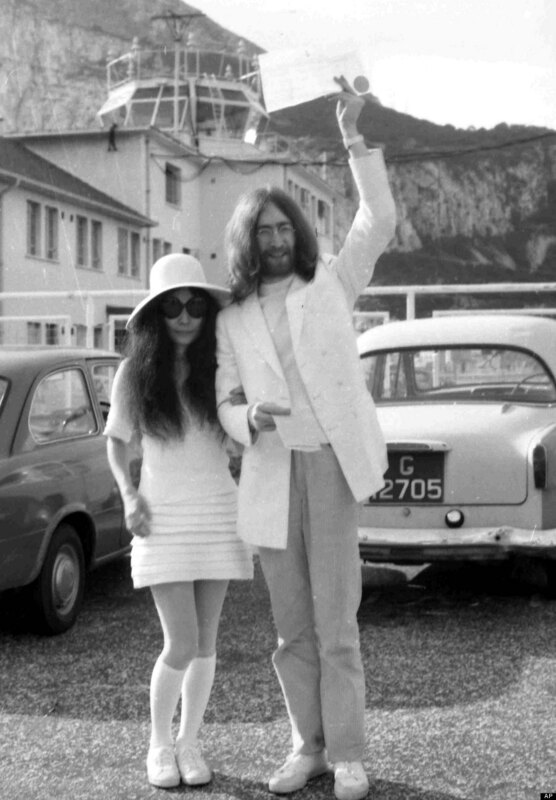 Well done Yoko and John for keeping it low-key and incredibly chic at the same time. Yes, she was credited for breaking up the Beatles, but you’ve got to admit, Yoko has style. (notice I’m not even acknowledging the last two Paul McCartney weddings – sorry Paul).